Achamma Thomas was born on December 14, 1930 into the Thykkadavil family in Thiruvalla, Kerala in India to Late Mr. T.K. Kuruvilla and Late Mrs. Anna Kuruvilla. After her graduate studies she specialized as an educationist and worked as a mathematics teacher in Kerala for several years. The students she taught have fond memories of her. She got married in May 1966. Her husband Very Reverend Thomas P Mundukuzhy Cor-Episcopa of blessed memory was one of the most active and dedicated priests of Malankara Orthodox Church, who was the founder vicar of several parishes including St. Paul’s Indian Orthodox Church, Albany, NY which is a parish community under the Northeast American Diocese of the Malankara Orthodox Church of India. She migrated to the US to join her clergy husband in February 1969.They lived in Syracuse, NY for many years where she raised her 4 children. In Syracuse, she helped her husband to start the St. Thomas Indian Orthodox parish. In 2001 they moved to Guilderland, near Albany, to live with their son Anil. November 28th, 1961 in Thiruvalla, Kerala. She was the only sister of three brothers - Thomson, Ivan and Rajeev. 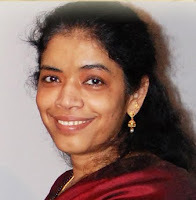 She did her college studies at Assumption College, St. Teresa's College and Kerala University Center, Karyavattom. 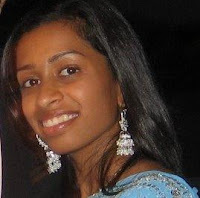 Abey Sarah Varghese, 28, passed away Thursday, October 2, 2008, at Sloan Kettering Memorial Hospital. Abey was born in Syracuse, NY the daughter of Alexander and Sosamma Varghese. She graduated from West Genesee High School in 1998. She earned her bachelor's degree in computer information systems from SUNY Albany and earned her master's degree in computer security and digital forensics from Boston University. She was employed by Utec Product in Schenectady. Abey was a member of the St. Thomas Orthodox Church of Syracuse and was a dear friend to many.In addition to her mother, Abey is survived by her sister, Betsy Varghese; uncles, Jose Zachariah, Sunil Zachariah and George Kurian; aunts, Jessy George, Susamma Mathew, Renu Zachariah, Bindu Jose and Elizabeth Tharakan; and many cousins. Very Rev. 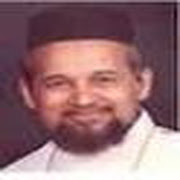 Thomas P. Mundukuzhy was a priest of status as a Cor Episcopa, the highest position for a married priest in Indian Orthodox Church. He was the Sunday School Director of American Diocese since 1980, for many years till he relinquished the position due to ill-health. Graduated from St. Berchman's College, Changanacherry, Fr. Thomas had his theological training at Orthodox Theological College, Kottayam [Graduate in Sacred Theology] and Serampore University, Calcutta [external student for Bachelor of Divinity]. Linda Thomas was born on Jan 15th, 1988 in Saudi Arabia. She is the second born to Mr. Chacko Thomas and Mrs.
Mariammma Thomas and was the younger sister to Mr. Binoy Thomas. Linda attended school in Kerala till she migrated to the US at the age of 6. She was a very bright and enthusiastic child. She loved to draw dance and help her mother with household chores. Tragedy struck the family when Linda was diagnosed with a genetic disorder at the age of 7. Her health started deteriorating every day. There wasn't any treatment for her disease. But she was loved by the family friends and church members. Lot of positive help was inculcated by the people around to cope with Linda's health. Linda left us for her journey to heaven on August 22nd 2003. She now resides as an angel in heaven who is looking down upon her family who misses her dearly.